Select the Installation Directory and go with the flow. 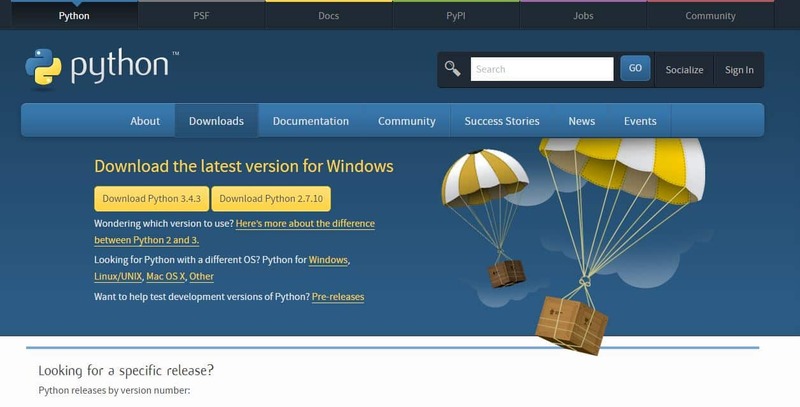 We have seen how to install python on windows properly, also write and run our first Hello World program, later we will create our first application with graphical interface and also we will get filled with pygame library for game development. Note: There are few syntactical changes in python 3 as you might have noticed from hello world program for more details about changes in Python 3 follow the link. I also provide many programming services like programming assignment help or homework help, App development, Game Development in Python and Python Project help service. I can provide you any kind of programming assistance on demand from doing your programming assignments to helping you out in your major projects or development tasks. Simply Hit the contact me to get help. Moreover if you find any difficulties in the guide above feel free to comment below I will sort them out. and if you find tutorials like this helpful the please share or comment below and also if you want me to create more tutorials like these then throw your ideas below in the comments section. Hi Nipun, Thank you for your approach with Python. The last time I wrote a program was in 1983. It was in basic and I my program played tic-tac-toe. It had a bug and wouldn’t let you make any move that might win the game. Anyway, I am trying to teach myself to use Python to dig into data from twitter for some grad school research and frankly I have no idea what I am doing. I’m looking for a more academic approach and not gaming application. Any tutorials you might suggest would be more than helpful. But geared to one who knows nothing. Much thanks for your time.